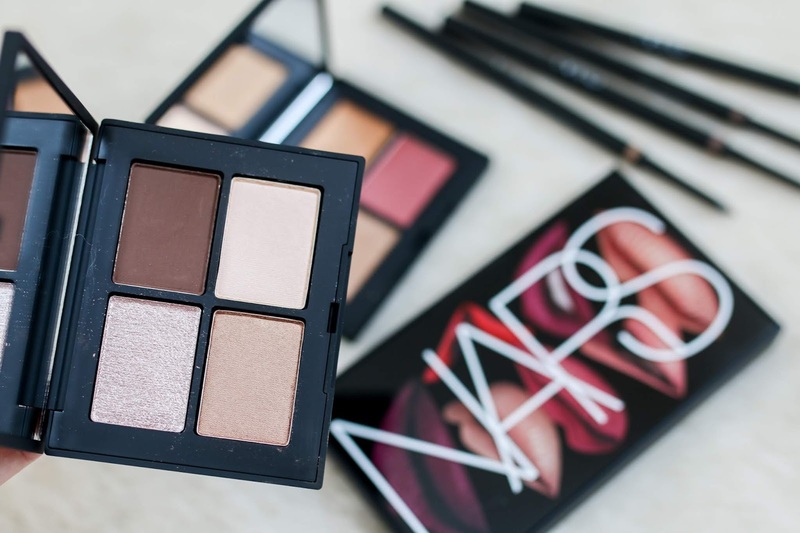 NARS just launched their new Fall collection recently and I have a few pieces from it to share in today's post. First are the two eye shadow palettes in neutral tones - Mojave and Singapore. The colors are all quite wearable in both palettes but in each one there is a chunky glitter shadow that is hard to wear. 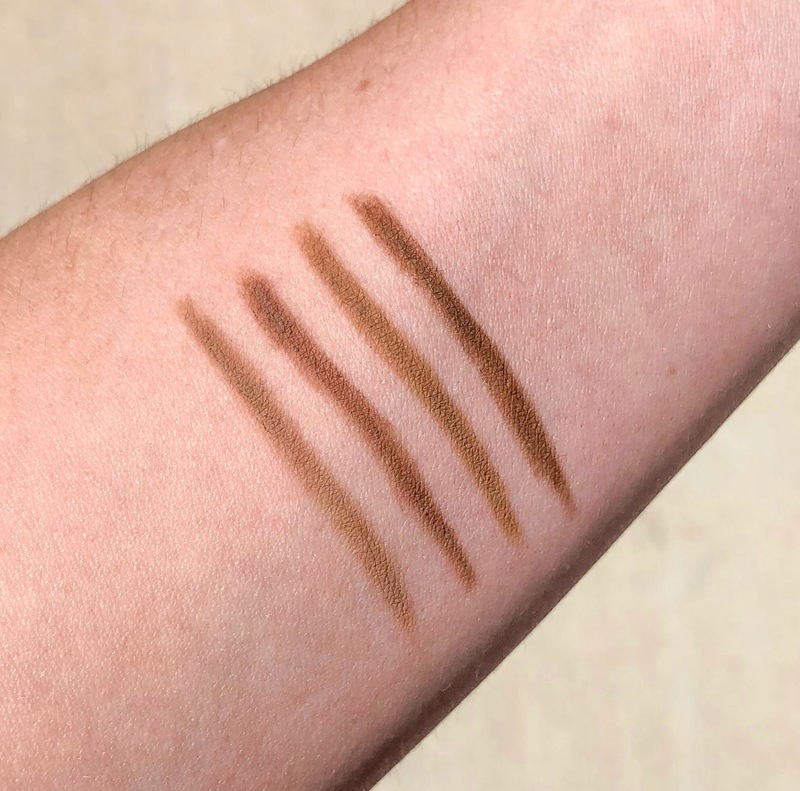 My favorite palette out of the two is Mojave but the top left shade is beautiful though hard to apply evenly. 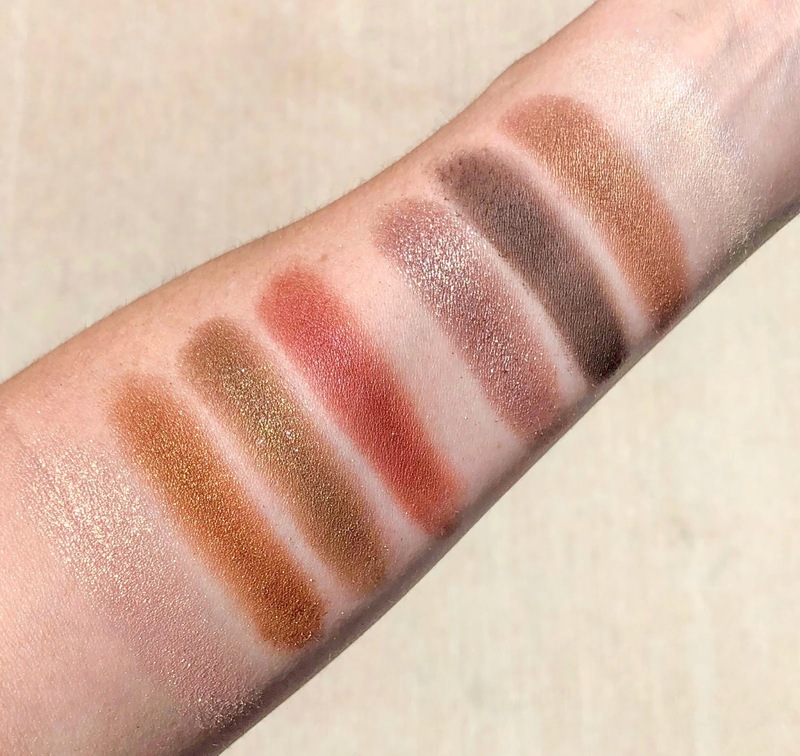 The Singapore palette has the same issue with the top left shade being chunky, glittery and has tons of fallout. I found the best application was to tap it over a cream shadow with my finger. 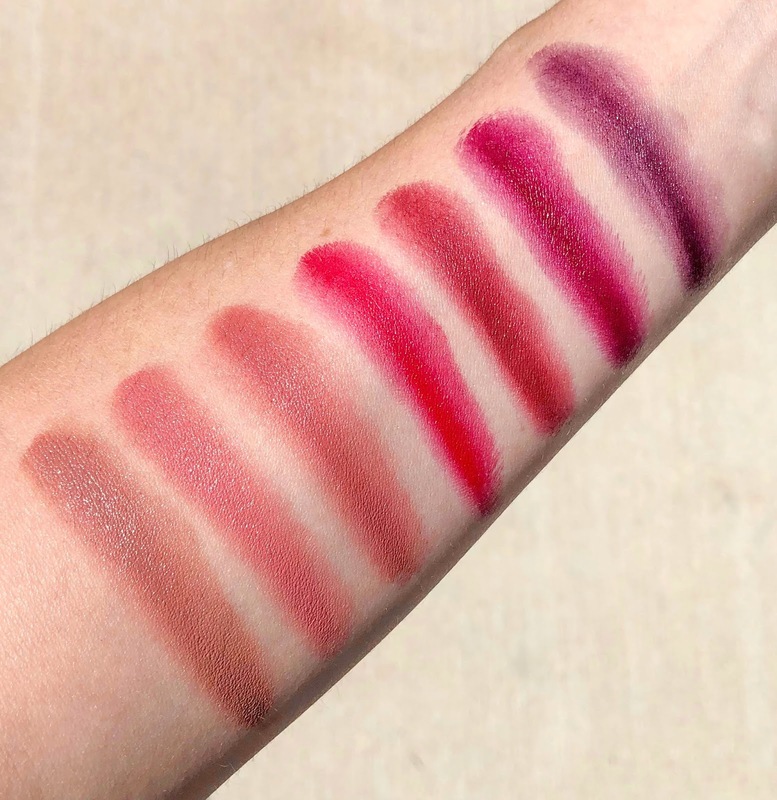 Overall the palettes look beautiful but it's definitely frustrating that 1 out of 4 shadows is harder to work with which limits the palette down to 3 shades. The lip palette is not only beautiful to look at but has the most gorgeous range of colors in it. For those that may be nervous to test out the darker shades, I love dabbing them on the lips for more of a lip stain. And then adding a sheer gloss over top makes them incredibly wearable. I also liked to mix some of the colors together to create my own shade. 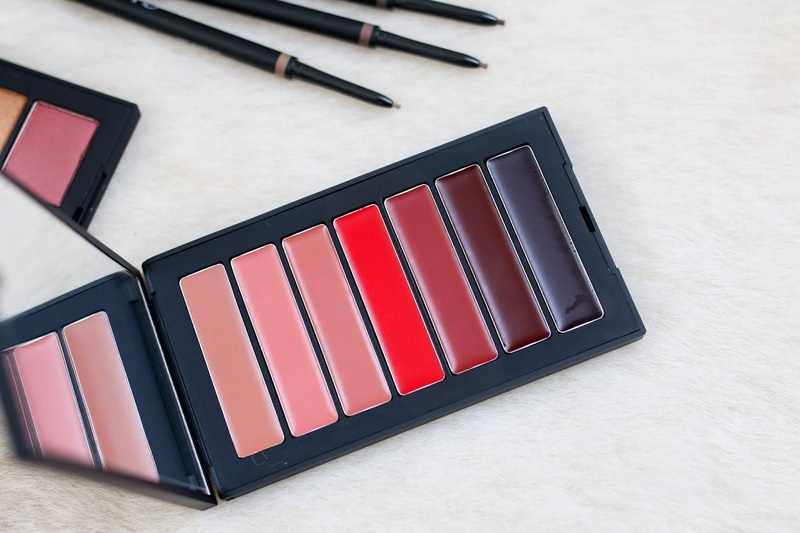 The entire palette is the Audacious lipstick formula so they have a creamy finish with tons of staying power, but you will need a lip brush to apply. Fingers are ok but things can get messy fast. 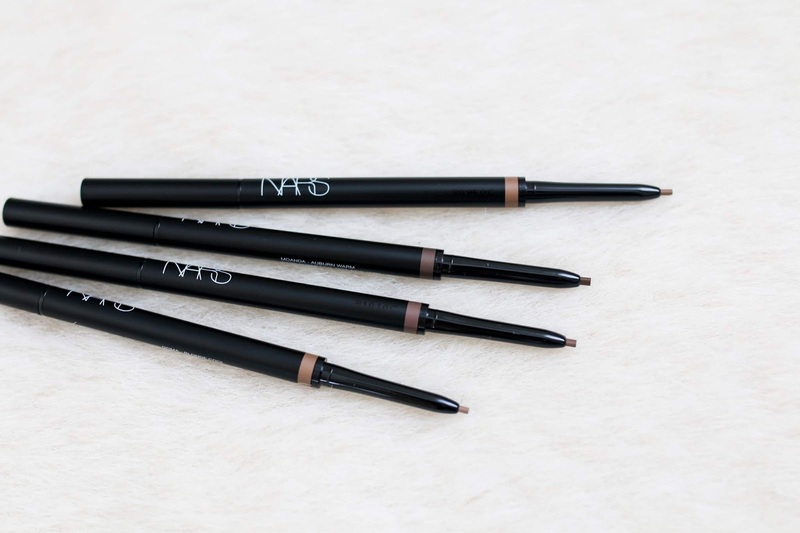 The Brow Perfectors are the newest product added to the line and I love how firm and stiff they are for filling in the brows. I use them either in short strokes to fill in sparse areas or mimic the way the hairs actually grow. The undertones are a bit more warm than I prefer, as I normally gravitate towards grayer browns for my brows but Goma which is a shade for blondes mixed with Makassar is what I've been using. 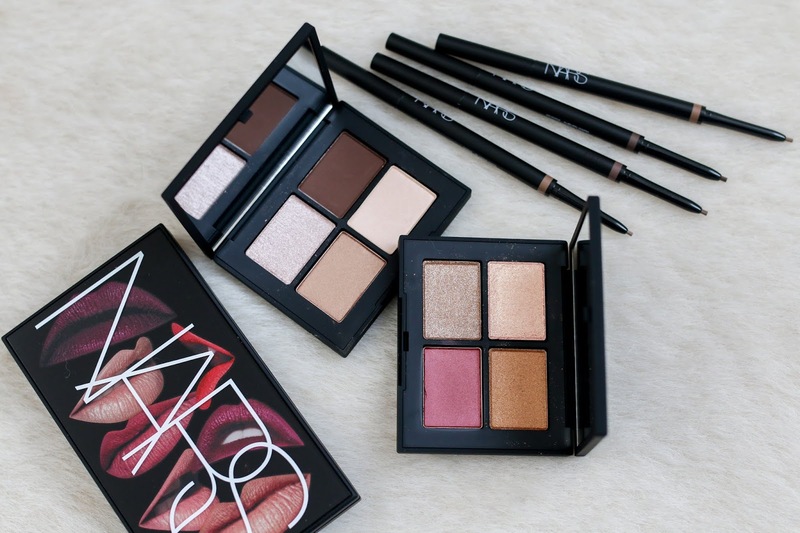 The whole collection is available now on the NARS website and will be launching in other retailers in early August.